The United Championship Racing Alliance hosts their annual National Points Awards Luncheon Saturday afternoon at the Western Sizzlin’ Steakhouse Restaurant in Ooltewah. Post lunch, nearly $10,000 will be passed out to the top points contenders of 2018’s 10 races. The $5,000 top prize will be going to Cleveland racer Jimmy Elliott (#J39) whom garnered six Top 5 finishes last season, narrowly holding off friend and 2018 Rookie of the Year ($1,000 bonus recipient) Michael Courtney of Knoxville, for the title. Kenny Kizzar of Graysville Mountain, Tn. 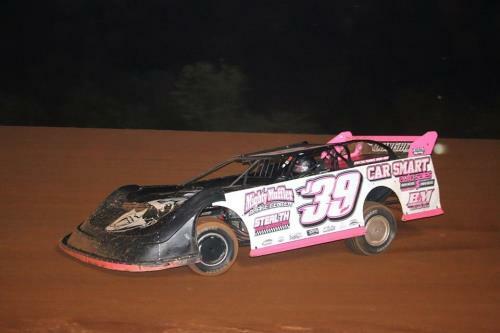 will be honored, along with "Kidd-Quik" Kyle Courtney of Knoxville, whom both followed the tour religiously last season. UCRA events are based on estimated purses, between $8,000 and $16,500. During the 2018 season, the 10 race series produced 10 different winners, netting over $100,000 in winning prize money. The UCRA provides a professional travelling tour for economic Crate Late Model racing for racers, fans and promoters to enjoy and thrive within. Dates will be released for the upcoming 2019 season during Saturday's Championship luncheon and fans, friends, promoters, owners and racers will be on-hand to congratulate the Champion and Rookie of the Year. The UCRA is a sanctioning body for 604/Crate Late Model dirt racing and all rights and rules thereof are available to be adhered to on behalf of the United Championship Racing Alliance ©2019 online at UCRAracing.com.